Both of my parents started to lose their hearing at age of 78 about two years ago. My younger brother bought Siemens hearing aids for them. My mom felt discomfort when wearing the hearing aid because of the buzzing noises, so she was reluctant to wear it any more. Since she never stopped Lajin, I encouraged her to do more Lajin. Without the hearing aid, she could still hear and communicate with others, although her hearing wasn’t that much as sharp as normal people. On the contrary, my dad didn’t want to do any Lajin, his favorite exercise was to Paida the head. One day when he suddenly lost all his hearing, he simply put on his hearing aid. He did the Paida on the head for some time, but didn’t see any results. He could still not be able to hear anything. I thought he was going through healing crisis. He gave up the Paida, relied on the hearing aid ever since. It’s been almost two years. Because of his deafness, my dad has been having a lot of troubles carrying normal conversations with others. We became very worried, thought he might have suffered from Alzheimer’s disease. I was going to do Paida on him during this May the First national holiday. At that time, I didn’t make any connection between his deafness and being slow and dull in both his movements and language skills. I thought he might have some unseen illnesses attributed to his deafness, so it’s better to dredge his meridians first. In the first three days, I did Paida on his head, arms, back and armpits. He felt nothing but pain, no improvement in his hearing. He was very cooperative for I visited him on just one purpose of Paida. Each day, I spent about half of the day in Paida, another half day I let him rest and recover from the Paida. Gradually I moved to different body parts. 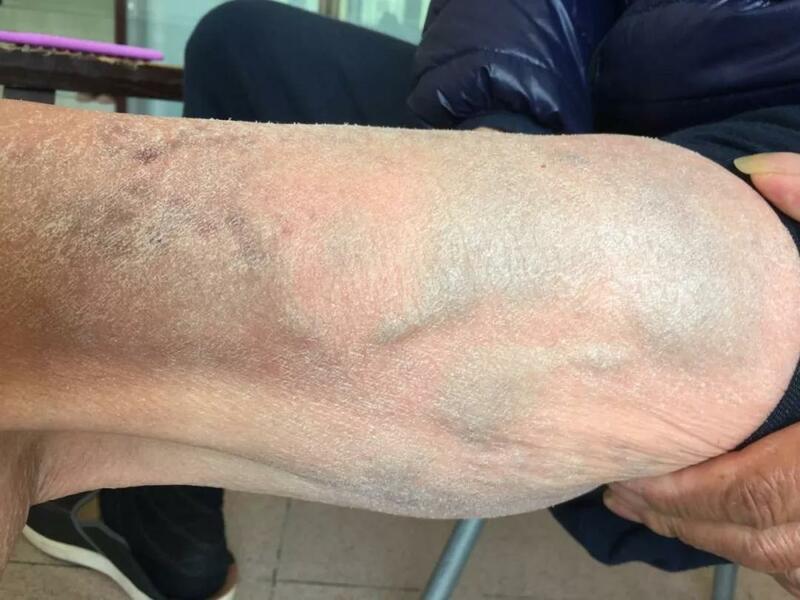 The day before I went back to Beijing, I happened to slap my dad’s outer legs where the Gallbladder Meridian runs through. I suddenly recalled a healing case of a young man at his thirties who became deaf due to a car accident. After his Gallbladder Meridian was slapped, he felt a rush of air out of his ears. That was it. He was thrilled because his hearing was back. Why we saw little improvement after I slapped my dad’s back, armpits and arms? Maybe Gallbladder Meridian will make a difference? Pondering on the questions, I did the Paida on his Gallbladder Meridian very attentively. A few big lumps showed up after several soft Paida. He didn’t respond with “Ouch, painful!” until I reminded him if he felt the pain. While we had such small talks, he seemed to be able to hear better than before. So I suggested he take off the hearing aid and try a conversation without it. It worked. So I continued working on his outer legs, especially on the areas where Gallbladder Meridian and Stomach Meridian run through. Wherever I slapped, there were big lumps, covered all over. Ever since then, we encouraged him to communicate with us without the hearing aid. All we had to do was to raise our voice so that he could hear us. Once the hearing barrel was resolved, my dad appeared to be much more active than before. It seemed to us that the “dementia” had something to do with his deafness. We suggested him to do more PaidaLajin. He’s been doing well ever since. When I talk with him on the phone, he was able to hear the sound clearly, and he certainly is good mood as well. It seems to me that PaidaLajin has made huge differences in helping people with hearing problems. My mom started to do Lajin three years ago when she hurt her lower back in a car accident. I taught her how to Lajin. She felt soreness in her lower back during Lajin. Whenever she is tired, she gets recharged by doing Lajin. Fortunately her hearing didn’t deteriorat thanks to the Lajin exercise. Unlike my mom, my dad chose to wear hearing aid. He eventually lost all his hearing and became completely deaf. From this comparison, I can tell Lajin is very effective in healing deafness as long as one practices Lajin for long enough because it doesn’t show the effectiveness in short-term practice. Secondly, it is also very important to apply Carpet-bombing Paida. There are many meridians passing through our ears, especially the Gallbladder Meridian. 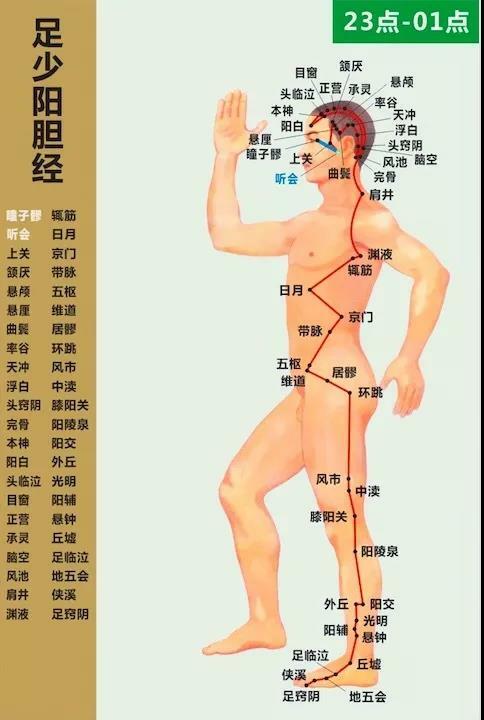 So if you see little results after Paida the head, you should also slap both of your outer arms and outer legs because the San Jiao Meridian and Gallbladder Meridian run through arms and legs respectively.